The praxis and technology of photography has seen dramatic transformations over the last century. The most obvious transformations taking place in the last decade of the 20th century, marking the shift from analog to digital photography. Yet another shift is surfacing all over the web, a shift that has been initiated a few years ago with the introduction of the iPhone, and smartphones in general. These mobile devices are much more than just phones; they are communication devices that connect us to the internet, they are also cameras, personal assistants, hand-held computers that run a variety of applications, connect us to the clouds, store our data and allow us to make the occasional phone call. Social networking platforms such as Facebook and Flickr are prone on users sharing as much data as possible, since every (re)posted piece of data represents market value for their advertisers. The smartphone has made photography ubiquitous and this process has been intensified by social networking sites that enable users to store and share visual material in public clouds. Everyone is now a photographer, or so it seems. The new iPhone 4S comes with a built-in 8 megapixel camera and a set of tools for making simple automatic adjustments such as red-eye reduction and filters that sharpen blurry images. Popular iPhone apps such as Hipstamatic and Instagram allow users to extend the possibilities of their mobile camera and modify their pictures on the fly, with a range of effects that remediate old-fashioned analog photography as well as professional image editing desktop applications such as Adobe Photoshop. The distinction between professional and amateur has blurred and given rise to the so-called pro-am, digital natives that grow up playing and working with professional tools, compliant to industry standards. The images we produce, consume and share are reshaping our collective visual culture. What cultural position does the digital photographic image hold in contemporary networked society? What are the transformations in photographic production, reception, representation, and aesthetics? The first cheap and easy to use camera was the Brownie, released by Eastman Kodak in 1900, accompanied by the slogan “You push the button, we do the rest.” Costing only $1, it quickly gained mass popularity and introduced the term ‘snapshot’ to the general public. It employed a small lens with a fixed aperture and shutter speed, and used 117 roll-film. 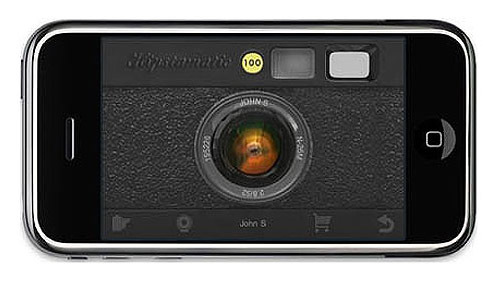 Kodak released the successor to the Brownie in 1963, the Instamatic camera, also an inexpensive point-and-shoot camera that was highly successful. It used easy-load film cartridges with Kodak’s new 126 film-format that allowed the camera to be as cheap as possible. 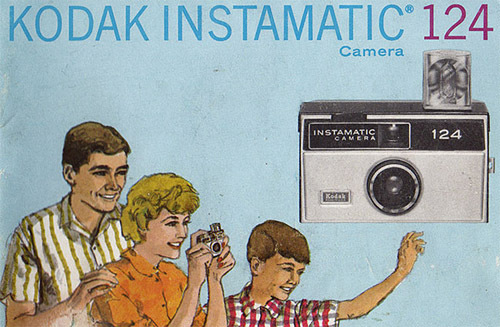 The instant success of the Instamatic series and consequently the 126 film-format made sure other camera manufacturers followed suit in using the same type of film. In 1947, Polaroid introduced the Land camera, named after its inventor Edwin Land. These instant cameras with self-developing film where made commercially available in 1948. In 1963 the first color film was introduced for the Land camera, although it took until 1972 to make color photography with Polaroid Land cameras as easy as pressing a button and shaking the picture into being. The popularity of these early compact cameras shows how photography and the production of images came within the reach of every one, no longer the exclusive realm of artists, scientists and art experts. Amateur photography dramatically changed the way we look at pictures and the meaning they convey. It dramatically changed our view of art, history and every day life. The first chapter of the book ‘Ways of Seeing’ by John Berger is a combination of text and images that takes many ideas from the afore-mentioned article by Benjamin, and visualizes these ideas in a very striking way. The book consists of a collection of visual essays that were originally brought to the public in the format of an educational TV-show produced and aired by the BBC in 1972. The convention of perspective painting, unique to the European art tradition from the Renaissance to the beginning of the 20th century for depicting reality, makes the eye of the beholder the centre of the visible world. But the human eye can only be in one place at a time. The camera changed this and brought new appearances to our eyes, appearances that were previously impossible to see. Images could be reproduced and travel across the world. The visible world no longer has a single centre, as the human eye is dissolved, extended and forever changed by the mechanical eye. And by this process, the way we see the visible world, the way we construct meaning and make sense of reality (and history) also changed. Berger clarifies this by quoting an article from 1923 by Russian film maker Dziga Vertov, well known for his film ‘Man With a Movie Camera’ from 1929. This quote is worth repeating here in length, as it is compelling how Vertov places the mechanical eye of the camera at the dynamic centre of a new way of seeing and experiencing the world. The French film critic and theorist André Bazin states in the article ‘The Ontology of the Photographic Image’ from 1960, that one of the defining characteristics in the production of art is the preservation of life by its representation. Realism in painting encounters the problem of combining the representation of the spiritual real and the representation of the physical real, the latter always leaning towards illusion. This inability of painting to reproduce reality is the reason photography is so successful at satisfying our obsession with realism. Photography forms images automatically, without the intervention of man. Some nuance might be added to this statement, since it is man who selects the object to be photographed, the composition, the lens, the aperture and shutter speed. However, Bazin argues this process does not play the same role as it does in painting. Photography does away with the subjective human touch (and view) of the artist that is always inherently present in painting and sculpture. Bazin further argues that the technical method of photography ensures an aesthetic experience that is closer to personal perception. It should be noted that Bazin uses the French word ‘objectif’, which also refers to the camera lens, and plays with this double meaning. What Bazin describes as objective, does not necessarily imply non-subjective but rather ‘through an object’. Bazin argues that the photographic image has an advantage over painting in reproducing reality because it does not create a replacement but rather a reproduction of an object in reality, and this reproduction is often treated as a true representation of the object. Re-presenting the object as it once existed in space and time. Our ambivalence towards representation of reality is exemplified by the way we accept photography and film to be true and real, despite the fact that we are aware of the widespread manipulation of photographic images. Bazin concludes by arguing that the photographic image strips its object of our spiritual preconceptions, presenting it in its virginal purity. In the book ‘Photography in the Age of Electronic Imaging’, Martin Lister claims that in the advent of digital photography, the main difference between analog and digital images has often been ascribed to a difference in indexical quality. The indexical nature of the chemical photograph is an important part of the ‘photographic economy’ and the wider scopic regime, Lister argues. Analog photographs have long been described as footprints or stencils of the real, depicting an object that once was in direct contact with the negativ through the lens, capturing the reflecting light. However, this indexical quality has more to do with a sense of presence than with realism. This is especially true for the Polaroid print, where there is only one authentic original print. The immateriality of digital photography problematizes this. Roland Barthes explored the reception of photography in his emotion-laden book ‘Camera Lucida’ as to reflect on our felt experience of images rather than the analysis of their signifying means. However Lister argues, that in this light, differences between analog and digital photography cease to hold up importance. This is because the capacity of digital technology to mimic and simulate photography has led it to make images that share the traditional pictorial values of photography. The technical process of capturing light may be different; the resulting image looks the same. Like a photograph. Bolter and Grusin address this issue of digital photography in their book ‘Remediation. Understanding New Media’, where they argue that digital photographs are often intended to be received as photographs (Bolter and Grusin 106). They are presented as being part of the tradition of photography. They argue that the process of capturing light is equally artificial in chemical and digital photography. The difference between analog and digital no longer holds sway. Andrew Darley argues in ‘Visual Digital Culture. Surface Play and Spectacle in New Media Genres’, that digital images draw attention to themselves as images. This skews representation in the traditional sense, as it is now more about styles, forms and genres. Darley notes that not all of contemporary visual culture is mere spectacle and sensation. However he does point out that there is a large aesthetic space in mainstream visual culture that lacks traditional depth and is dominated by surface play and endless strings of shallow quotations. This surface play manifests itself in different ways. As a dimension within mass visual culture and in more localized and specific expressions that refer to the ways in which digital image making is enabling and stimulating the aesthetic preoccupation with signifiers and their formal arrangement; Darley refers to this as the culture of the copy and cites Jameson who aptly described this as the age of the signifier. Darley poses the question how digital visual culture distinguishes itself from earlier cultural and aesthetic regimes (Darley 125). To understand this new aesthetic dimension, two concepts are highlighted by Darley that are of interest here, the concepts of repetition and montage. 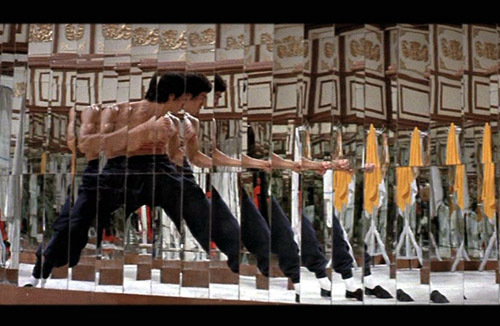 Repetition functions as the measure of visual digital culture. It is a structural concept for understanding the distinctive qualities of contemporary visual culture. Important aspects here are the new kinds and levels of technological reproducibility that are inherent to digital technology. Serial production as a new means of cultural production in the 20th century leads to more reproductions then ever before, a proliferation of signs. The quantitative development of mass reproducibility produces mutations and qualitative effects. Enter the dominion of form and surface in mass cultural aesthetic practice (Darley 126). If anything, digital technology and social networking sites have put this kind of repetition of images in maximum overdrive. Montage is prevalent in both analog and digital photography, although digital technology and the computers potential for copying and simulation has boosted this practice in contemporary imaging. Darley distinguishes two kinds of montage; mimetic seamless montage that is undetectable by the naked human eye and the artistic tradition dating back to modernism movements such as dada. He couples these montage techniques to the dichotomy between modes of aesthetic realism used in mass culture and anti-realism of the modernist avant-garde. 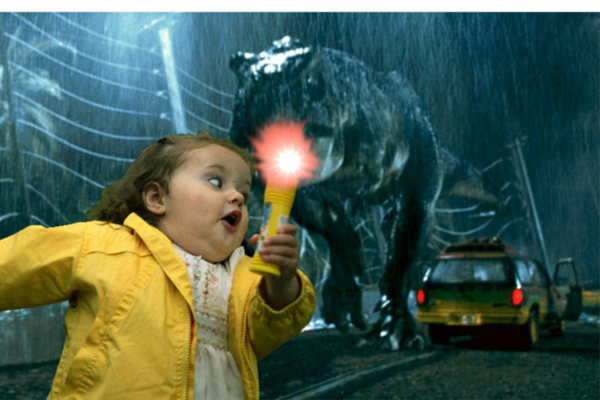 The latter technique is associated with (re)combination or juxtaposition of diverse elements that form new images that might surprise or shock. Both forms of montage are still practised today. We are accustomed to the kind that hides its artifice, we accept that as a natural part of the medium, cinema and television fundamentally depend on it. At the same time, through repetition, the modernist tradition of montage, and associated concepts such as intertextual reference and self-reference, are imported into mainstream culture. However, it remains debatable how much shock or surprise value these images have left (Darley 131). Darley goes on to examine how new technologies provides ways to combine intertextual and mimetic forms of montage into hybrid texts. The computer adds new capabilities as well as new possibilities to the practice of image manipulation. Synthetic image fabrication has emerged, uncoupled from photographic recording processes. Realism may be mutating into a different phenomenon that has its foundations in simulation as well as in photorealism. The apps that the company Synthetic has produced for the iPhone, such as the immensly popular and cheap Hipstamatic app, add effects to mobile photography that remediate analog photography through digital techniques. The Hipstamatic GUI lets the user choose between a number of lenses, film-rolls and flash-devices, all of them alluding to the nostalgics of analog photography. These ancient and mystical relics (as I imagine teenagers experiencing them) are represented through photorealistic pictures on the touchscreen, which remediates old camera bodies. The history of amateur photography is an integral part of this app. What is also interesting about Hipstamatic is that it lets the user select the effects on the touchscreen before taking the picture. The algorithm becomes part of the photographed moment. Not just a part of memory, but also a part of the experience. The social sharing of all these photographs creates an infinite amount of copies and derivatives, which show us glimpses of the presence of the cyborgs we have become, basking in the aural glow of death by algorithm. This form of social photography or iPhoneography, for lack of a better term, clearly has implications for the production, reception and representation of social identity online. iPhone users, within the larger cult of Mac, already form a loosely knit community of so-called ‘hipsters’, which is amplified by the fact that these apps are only available for iOS. In that sense, Hipstamatic art is as much in the eye of the beholder, as it is in the i in iPhone. The social aspect that is highly emphasized by these apps and platforms turns the old shoebox filled with private pictures upside down and places them in public clouds for all to see. The new Shoebox app for digitizing and sharing old family photographs exemplifies this. All these ongoing processes are of great relevance for the future development of our visual culture and new media. And as such they demand further investigation. Barthes, Roland. Camera Lucida. Hill and Wang, New York, 1981. Illuminations. ed. Hannah Arendt. New York: Shocken Books, 1969. Berger, John. Ways of Seeing. Penguin Books/BBC, London, 1972. New Media. MIT Press, Cambridge, 2000. 104-114. Hayles, Katherine. “Virtual Bodies and Flickering Signifiers.” How We Became Posthuman. Virtual Bodies in Cybernetics, Literature and Informatics. The University of Chicago Press, Chicago, 1999. 25-50. Manovich, Lev. “The Synthetic Image and Its Subject.” The Language of New Media. MIT Press, Cambridge, 2001. 199-212. Much thanks, Leonard. I’ll try to keep up the good work.